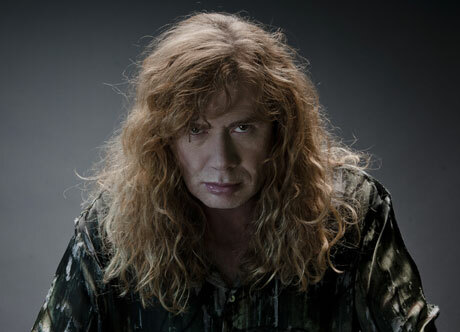 While Barack Obama has received a lot of support in the music world, Megadeth frontman Dave Mustaine has repeatedly spoken out against the president. During his latest rant, the opinionated singer made what just might be his most out-there claim yet: Obama staged the recent mass shootings in Aurora, CO, at the Dark Knight Rises premiere and in Oak Creek, WI, at a Sikh temple. Back in my country, my president is trying to pass a gun ban, so he's staging all of these murders, like the Fast and Furious thing down at the border. And Aurora, CO, all the people that were killed there. And now, the beautiful people at the Sikh temple.... I don't know where I'm going to live if America keeps going the way it's going because it looks like it's turning into Nazi America. Watch Mustaine's rant in the video below. His Obama-related comments begin around the 2:38 mark. The Republican-supporting Mustaine has previously stated that he thinks Obama was born in Kenya and that his birth certificate is a fake [via Loudwire]. "Some people think the president is a good scapegoat but he didn't shoot me. "It's obviously kind of absurd and people who make up conspiracies just want attention. "Everybody is emotional at this time and needs to blame somebody I guess. I don't think they realize the consequences of not being responsible for your own actions and James Holmes needs to be held accountable for his, to whatever way the justice system deems fit." UPDATE 2: Mustaine has since attempted to clarify his controversial comments. Head here to read what he has to say.